iPhone Basics: Delete the Safari history. Individually and completely. Safari for iOS stores as well as its desktop counterpart the entire history of your visited websites. Exception: your surfing in private mode. If you use your iPhone or iPad not alone, you may not want that a co-user gets the complete history to the face. For example, if you are planning a surprise for those who can be quite embarrassing. Safari offers you two ways to delete the history. Once the all or nothing method over the settings or a manual removal. To delete a single web page of the history, you have to open the history at first. You simply tap on the book icon in Safari. The second entry in the list that appears shows you the history. To delete an entry from the history, you simply wipe the sides to the left of the display. For the deleting you must then just confirm. 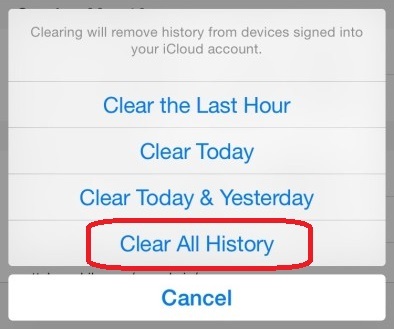 Do you want to clear the entire history, then switch in the settings of your iPhone or iPad. Scrolls down there until you find the Safari-entry (in the first block of the programs or in the fifth block in total). There you scroll all the way down to the entry “Delete History and Site Data”. Before the data is deleted, a confirmation screen appears. This also indicates that the data will be deleted in the iCloud and thus can not be restored. Do you use this function next to the History and Cookies, as well as your search queries that Safari also stores will be erased. What is not in the note text: Even your open tabs in Safari will be deleted! 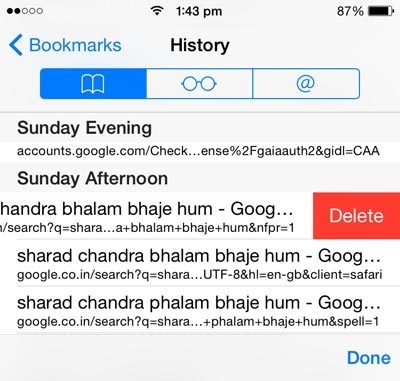 Therefore: Before you confirm the deletion, store the contents of the tabs that are important to you as bookmarked! Then you can confirm the deletion. All browser data will be deleted and within seconds you can no longer find this in the iCloud again. Be the first to comment on "iPhone Basics: Delete the Safari history. Individually and completely."